AP ECET 2019 Hall Ticket has been Available on 23rd April 2019. AP ECET 2019 is conducted by the Jawaharlal Nehru Technological University Anantapur. 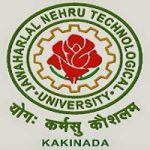 AP ECET 2019 is conducted by the Jawaharlal Nehru Technological University Anantapur, but it is managed on behalf of Andhra Pradesh State Council of Higher Education. AP ECET 2019 Exam Date has been Postponed. Now Exam will be Held on 30th April 2019. 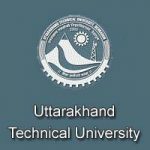 The admissions will be offered in the second year of B.E./B.Tech/B.Pharmacy courses in state universities. In this article, the complete information of AP ECET 2019 is mentioned. Here, in this article complete information of AP ECET 2019 is mentioned such as Application Form, Eligibility Criteria, Exam Pattern, Exam Dates, Admit Cards, Result and Syllabus Etc. AP ECET 2019 Hall Ticket has been Available on 23rd April 2019. Click Here to Check Hall Ticket Details. AP ECET 2019 Application Form can be filled till 2nd April 2019 with Late fee of Rs. 1000/-(+ Rs.550/- Registration Fee). Click Here to Check Application Details. Candidates should know the AP ECET 2019 Exam Dates. Check exam dates of AP ECET 2019 so would not miss any important dates. In this section, candidates can check the AP ECET exam dates in 2019. AP ECET 2019 Admit Card can be download through online mode by only that candidates who have successfully submitted and get registered their application. AP ECET 2019 Hall Ticket has been Available on 23rd April 2019. Admit cards will be issued on the official online portal of AP ECET 2019 by Authority. To access the AP ECET hall ticket, 2019 page candidates have to enter the date of birth or application number. AP ECET 2019 Answer Key will be Available after the exam. Starting of online AP ECET 2019 Application Form has been Started on 18th February and the Last date to submit an application without late fee is 27th March 2019. Candidates who are interested have to fill and submit their application before the due date mentioned. Candidates must read the AP ECET information brochure carefully. After reading it, proceed to fill the application form. Through online mode only AP ECET 2019 application form will be accepted. Online application form filling has been started on 18th February 2019. Candidates can fill application form until 27th March 2019. AP ECET 2019 Application Correction has been Started on 3rd April to 6th April 2019. AP ECET 2019 Application Form can be filled till 2nd April 2019 with Late fee of Rs. 1000/-(+ Rs.550/- Registration Fee). After filling application, all details candidates have to upload the scanned passport size photograph (size should be of 30KB) and signature (20KB) in the prescribed format. All applier must pay application form fess as described in the brochure. Candidates can pay application form fees through AP Online Centers as well as through online mode. All candidates must check full AP ECET 2019 eligibility criteria. Before applying for AP ECET 2019 check whether you are eligible and fulfill all criteria or not. Applying candidates should be an Indian citizen. It is must to posses Andhra Pradesh state domicile. It is also mandatory to satisfy the local/non-local status laid down by the AP government. One should have a Diploma in B.Tech/Pharmacy from the State Board of Technical Education of Andhra Pradesh or any other. OR those past 3-years of B.Sc Degree or its equivalent with Mathematics as one of the subjects from a recognized University in the state are also eligible to apply. It is necessary to obtain 45% marks (40% marks for reserved category) in the qualifying examination. AP ECET 2019 Exam Date has been Postponed. Now Exam will be Held on 30th April 2019. Candidates must get familiar with AP ECET 2019 Exam Pattern and syllabus. AP ECET examination will be conducted through online mode means a computer-based test. Paper will be available in English language only, and candidates have to complete paper within 3 hours and no extra time will be served. Mode: The written test will be conducted through online mode (CBT). Type of Question: It will have consisted of objective type question. Maximum Questions: The whole paper contains 200 questions. Total Marks: The question paper will be of 200 marks for all courses. Exam Duration: It will be of about 3 hours. Study thoroughly the whole topics from a chapter of syllabus provided by the authority on officials. Revise all topics from the chapter without fails. Give equal time to all subject for AP ECET 2019 Preparation. Prepare yourself for the exam according to the prescribed AP ECET 2019 exam pattern and syllabus. Candidates if wants can even solve previous year’s question papers and mock test. The study from best books and of best authors. Don’t add new topics at the end and revision all chapter daily. And stay healthy & fit. The AP ECET 2019 Syllabus is different for different courses. So candidates have to prepare for the exam according to courses selected. The syllabus will be prescribed by the authority. Candidates must study from the syllabus of engineering course which contains the class 11th & 12th PCM subjects. AP ECET 2019 syllabus for B.Sc (Mathematics) will be comprised of Mathematics, Communicative English & Analytical Ability and for pharmacy, the course has to study the topics such as Pharmaceutics, Pharmaceutical Chemistry, Pharmacognosy, and Pharmacology. AP ECET 2019 Result will be made avail on the official online portal. The result will be available from the 5th May 2019 along with the final answer key. To check your performance in entrance exam candidates have to visit on the official online portal of AP ECET 2019. And the rank card will be issued on 6th May 2019. Candidates who are qualified and eligible to will be called for counseling by prepared merit. 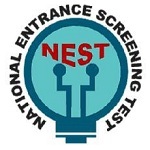 A web-based AP ECET 2019 counseling will be conducted by the APSCHE. From the third week of June, 2019 counseling process will be started. Candidates have to fill choices of stream/colleges according to the merit list. Candidates who are qualified can only attend the certificate verification in any one of the 18 Help Line Centers indicated in the information brochure. Candidates will be allotted seat for admission as per the marks obtained. Residence certificate for preceding seven years of the Qualifying examination, i.e., Diploma/Degree. Candidates claiming reservation under NCC/Sports/ PH/ CAP/Minority shall bring the original, relevant certificates.